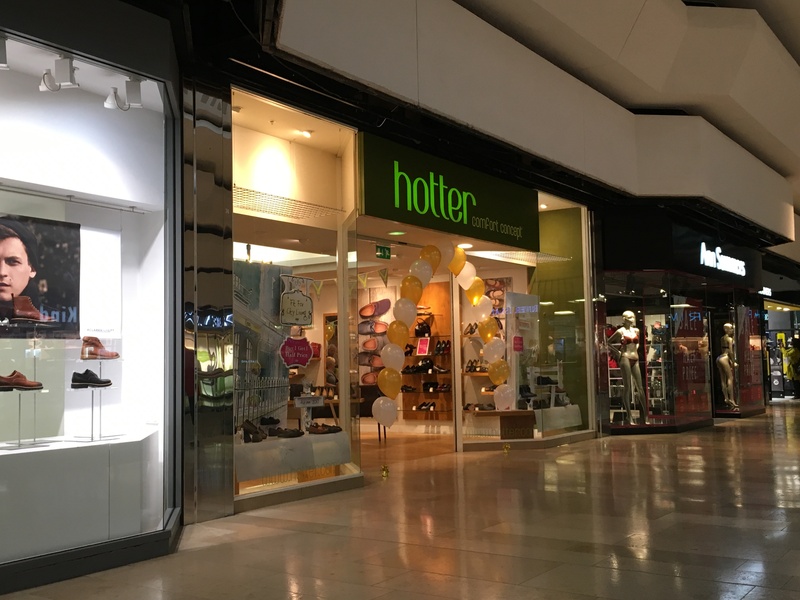 Last week I was invited to my local Hotter Shoes store in Queensgate, Peterborough. 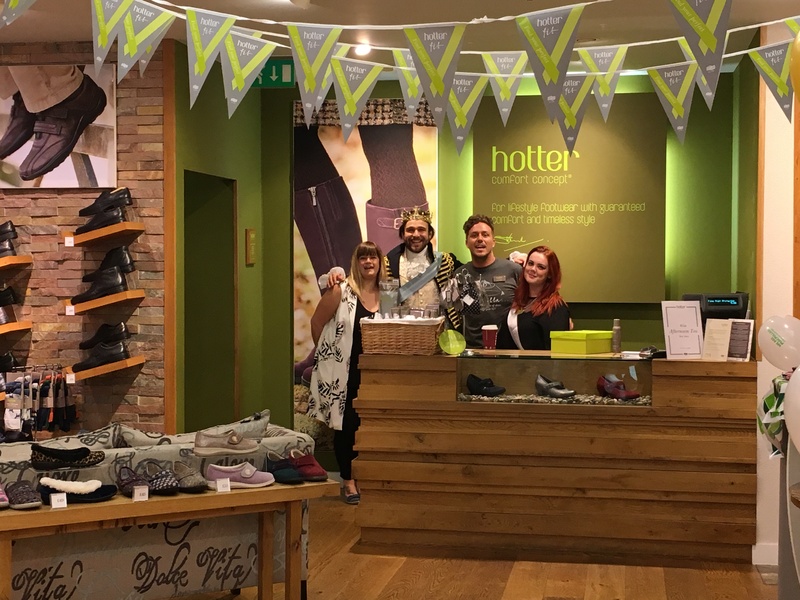 To celebrate their passion for making comfortable shoes that feel and fit perfectly, Hotter have launched their first ever Fit Fortnight event from 24th September to 8th October. 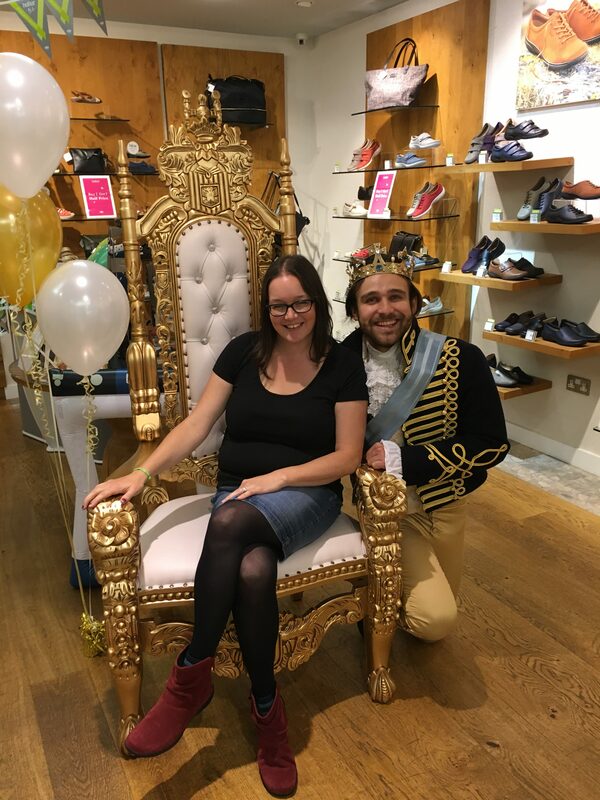 And last Friday, as part of this they also had our very own Prince Charming encouraging shoppers in the centre to visit Hotter and have their feet measured. In all honesty, I had never visited a Hotter store before. 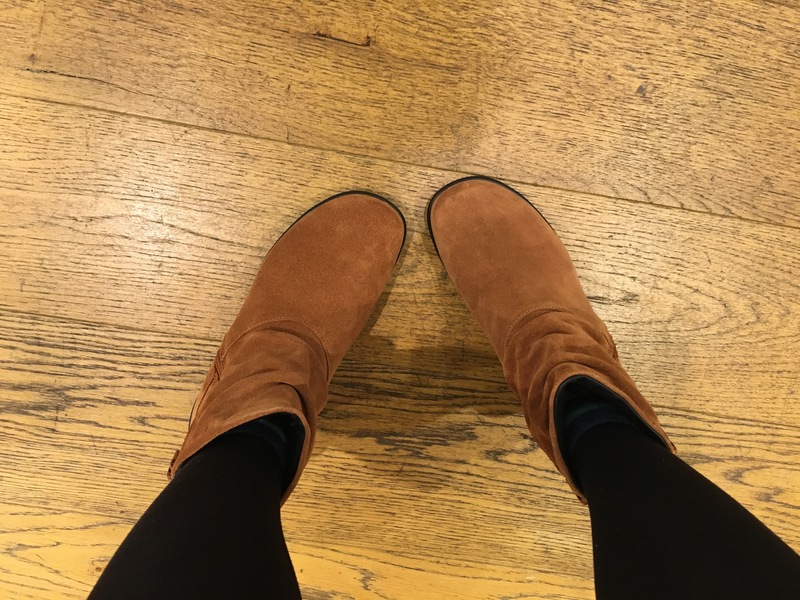 I always assumed they were marketed at ladies of an older generation but a friend of mine actually visits their Queensgate store regularly and owns over 10 pairs of Hotter shoes and boots so I was keen to go along and see what all of the fuss was about. I was made to feel very welcomed and the girls were fussed over by all of the staff. My feet were measured by a lovely lady called Joe who was excellent and went all out to ensure the correct fit. 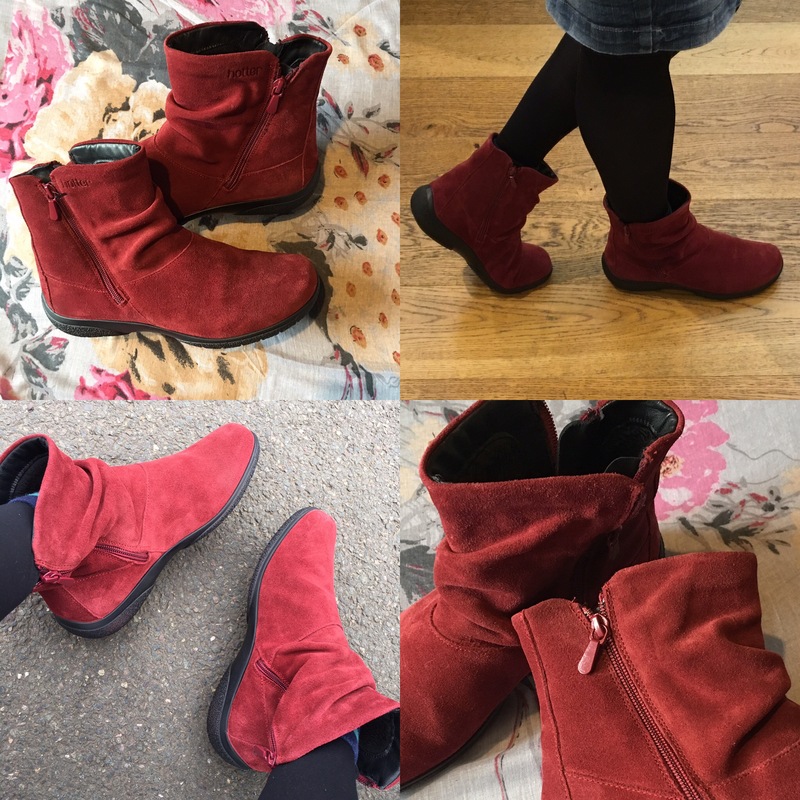 I tried on a few styles and colours before settling on the Whisper boots in Ruby. I had originally set my heart on the Belle boots and I do still really want them (in brown and in plum!) but the whisper felt like slippers and are so comfortable. Now that I am a school run mum, I wanted something sturdy, warm and supportive for walking the school runs every day. Whisper Boots are absolutely perfect for that and the colour I chose is gorgeous for the Autumn. The Hotter Fit Fortnight is on until this coming Sunday, 8th October. Why not get yourself down to your local store to find your perfect fit. I don’t think my feet have ever been happier in a pair of boots and I can see this is going to be the first of many pairs! Letterbox Cake From Baker Days review.